Congressman Emanuel Cleaver (D-District 5) failed to show up for a candidates forum held Monday night in Lee’s Summit, Missouri. The Lee’s Summit Chamber of Commerce had invited six area candidates to answer questions important to Missouri voters and five of the candidates confirmed over a week ago that they would be able to attend. 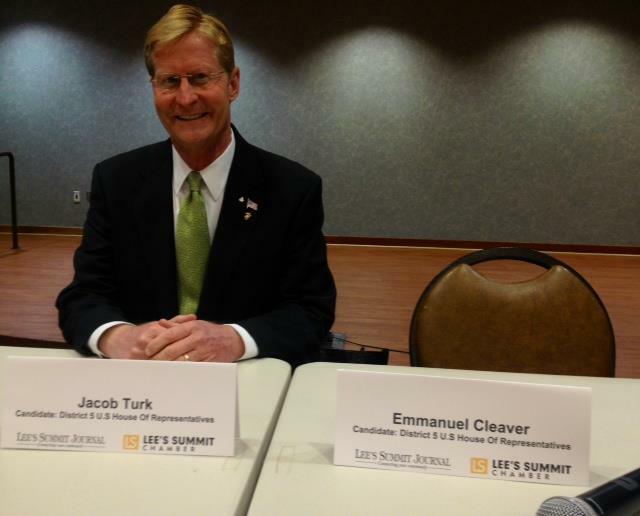 Cleaver’s office initially said that they would have to get back to the Lee’s Summit Chamber of Commerce, but after that, stopped answering their calls. It was not known until the time of the forum whether or not Cleaver would show up. His opponent in the race, Republican Jacob Turk, answered questions on a range of issues from the Keystone Pipeline and farming, to border security and immigration, to Ebola, and fighting terrorism. It would have been nice if voters in Lee’s Summit had had a chance to hear what their current Representative in Congress had to say on those issues.